Bradham was in a group of customers at the hotel and began to complain to a hotel worker about the speed of service. The incident "escalated," according to the police report, "when the defendant, without provocation, struck the victim in the nose with a closed fist, causing the victim to fall to the ground." The victim suffered a broken nose, contusions and a cut lip. "We have been in contact with Nigel and the NFL regarding his suspension. We respect the league's decision on this matter and we are disappointed that Nigel put himself in this position," the Eagles said in a statement. "Nigel has taken responsibility and expressed to us through his words and actions that he has learned from his mistake. We will continue to be supportive of him throughout this process." 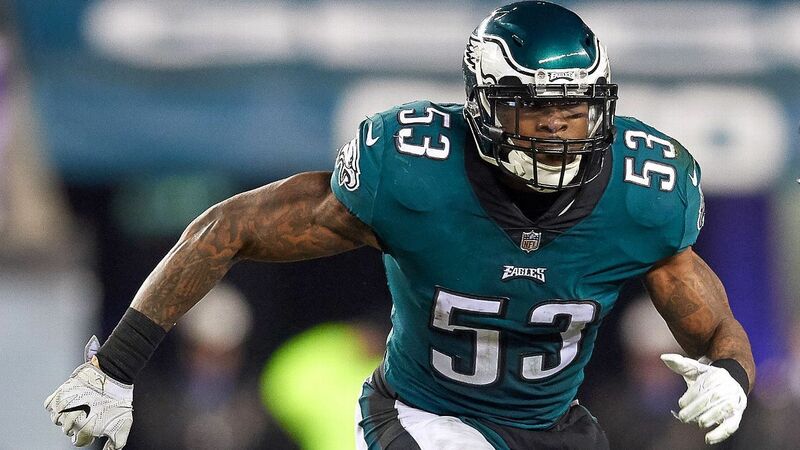 The Eagles re-signed Bradham to a five-year contract in March. The deal is worth $40 million, according to ESPN's Adam Schefter.